Tired of false starts? Unfulfillment in work or relationships? Repeating the same patterns over and over again? Being passed over or pigeon-holed? Feeling overwhelmed and stressed about the challenges you are facing? For many, the word ‘innovation’ has taken the route of such other buzz words as ‘strategic’ and ‘visionary’... qualities that at their heart are very good things, but have been used so much, and often times frivolously, that these words have lost their meaning. 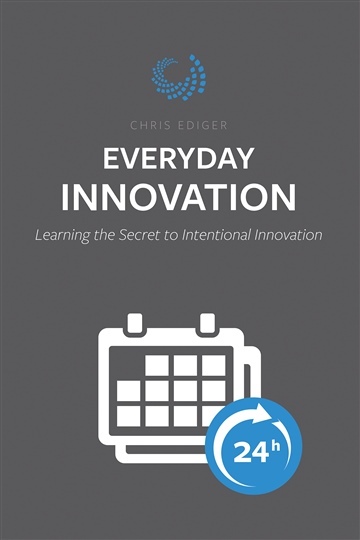 Everyday Innovation takes the complication out of innovation by demystifying & redefining how we approach change in our own lives and in the lives of those we touch each day... laying the foundation for real, everyday improvement in your life. Chris is a systems, process, and people innovator driven by a passion to help people learn how to innovate everyday, handle change better, create space through technology, and maximize relationships. He is founder of Go Intentional (http://gointentional.com), an innovation consulting firm based in Atlanta, GA which is focused on helping people and organizations become better through intentional innovation. With nearly two decades of experience in innovative positions, Chris has served businesses & non-profits over that time in executive leadership, technology advancement, content creation, and organizational processes. He has also led the development of multiple enterprise-level web applications that serve to help organizations move faster/better/stronger or build relationships and engagement with their communities. Chris currently lives in Suwanee, GA with his wife, Andrea, and three kids, Josiah, Micah & Emerie. He enjoys reading and writing – especially with a good cup of coffee on a quiet morning. He’s been known to burst into a spontaneous dance party in his living room, and enjoying subjecting himself occasionally to getting beaten by his kids at their favorite video games.